On Friday, November 10, we participated in the guided tour organised by the group “Vivlion Topoi/Places of Books” at the Library and the Archives of the Archaeological Society at Athens, on 22 Panepistimiou Str. Τhe Society was founded per the Royal Decree of 15/27 January 1837, and held its first members’ assembly on the Acropolis on April 28, 1837. After a historical overview presented by archaeologist Ms Dora Vasilikou, Mr Martin Schaefer, the Library’s director, offered us a guided tour around the Library. The Library of the Archaeological Society at Athens holds a specialised and very rich collection with significant publications on the archaeology in Greece. 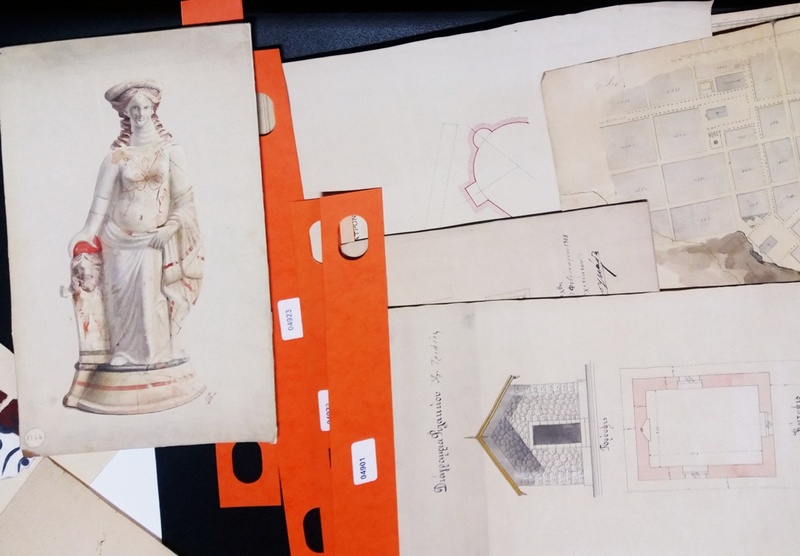 Finally, Mrs Ioanna Ninou, Ηead of the Society’s Αrchive, presented the main collections and several samples of documents, personal diaries and drawings of prominent Greek archaeologists.